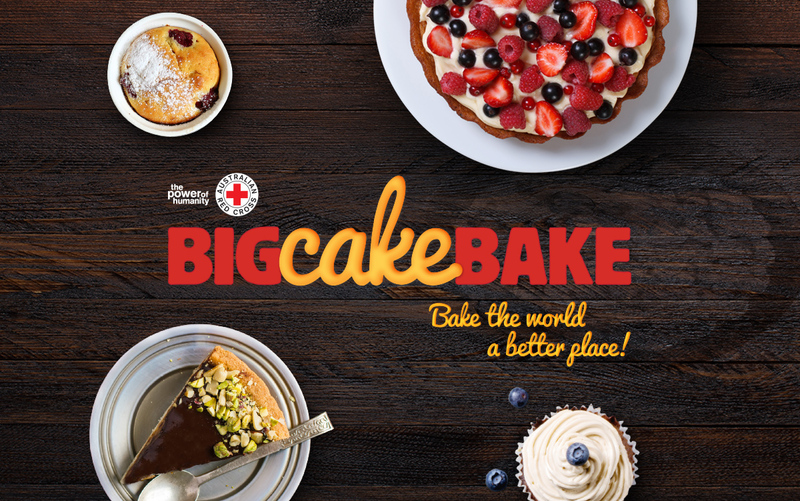 The Australian Red Cross do great work helping those in need and we were very pleased to be asked to assist in revitalising their Big Cake Bake fundraising campaign. The brief was to audit the branding, website, communications, and marketing, and to create a brand with a long term strategy. The creative and strategy were implemented in current marketing channels as well as new touchpoints. We created a luscious, rounded script with a 3D effect that emulated icing on a cake. It anchors the mark with strong vibrant hues. The emotion within the logo is what makes it successful. Big Cake Bake was in its infancy when we were asked to review it. It sat in amongst many other community programs and needed to find a clear voice to set it apart. We created a logo that would work across all creative and marketing, and stand the test of time. Communications needed to be more conversational and utilise social media networks to leverage the community feel of the campaign. The length of the name “Big Cake Bake”, together with the tagline meant we had to rely on the wordmark alone for impact. We updated the logo to fit both the strict Australian Red Cross guidelines, and the fun aspect of the campaign, baking! The website serves as the major point of contact for the community. We utilised the flexibility of WordPress to design and develop the website that would allow it to grow with the event and be fluid enough to incorporate future e-commerce and CMS needs. Between July and August 2015 the site attracted more than 50,000 users and some 60,000 sessions with engagement rising across all metrics.